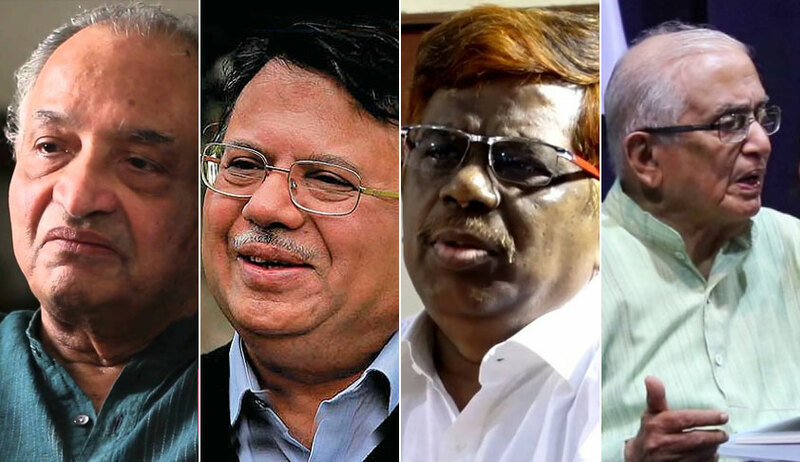 In an open letter addressed to Chief Justice of India Dipak Misra, four former Judges have agreed with the four sitting Judges of the Supreme Court- Justice J. Chelameswar, Justice Ranjan Gogoi, Justice M.B. Lokur and Justice Kurian Joseph- who held a press conference on Friday. The letter has been signed by former Supreme Court Judge Justice P.B. Sawant, former Chief Justice of Delhi High Court Justice A.P. Shah, former Madras High Court Judge Justice K. Chandru and former Bombay High Court Judge Justice H. Suresh. The letter highlights the need for clear rules for allocation of cases to the Benches, asserting, "We agree with the four Judges that though the Chief Justice of India is the master of roster and can designate benches for allocation of work, this does not mean that it can be done in an arbitrary manner such that, sensitive and important cases are sent to handpicked benches of junior judges by the Chief Justice. This issue needs to be resolved and clear rules and norms must be laid down for allocation of benches and distribution of cases, which are rational, fair and transparent. This must be done immediately to restore public confidence in the judiciary and in the Supreme Court." Till such rules are framed, it suggests that all "sensitive and important cases" must be heard by a Constitution Bench comprising five senior-most Judges of the Supreme Court, opining, "Only such measures would assure the people that the Supreme Court is functioning in a fair and transparent manner and that the power of the Chief Justice as master of roster is not being misused to achieve a particular result in important and sensitive cases. We therefore urge you to take immediate steps in this regard." It must be noted here that during the press conference, it was revealed that the four Judges had written a letter to the CJI, airing their grievances. One of the concerns raised in the letter pertained to assignment of matters. While acknowledging that the CJI is the master of the roster, the letter had said that this is "not a recognition of any superior authority, legal or factual of the Chief Justice over his colleagues". It had then stated that while there are well-settled conventions guiding the Chief Justice in the task, off late such conventions have not been strictly adhered to. "There have been instances where case having far-reaching consequences for the Nation and the institution had been assigned by the Chief Justice of this Court selectively to the benches "of their preference" without any rationale basis for such assignment. This must be guarded against at all costs. We are not mentioning details only to avoid embarrassing the institution but note that such departure have already damaged the image of this institution to some extent," the letter had further said.